This project aims to create a more useable version of the cafe listings by Crew Coffee and Power. It's built on Rails and uses the Leaflet API via the leaflet-rails gem. The geocoder gem assigns latitude/longitude to new cafes as they're created, so they're stored in the database with coordinates already assigned. The cafes are retrieved via an AJAX call initiated by the map, which retrieves a JSON array of cafes which fall within the current map view. 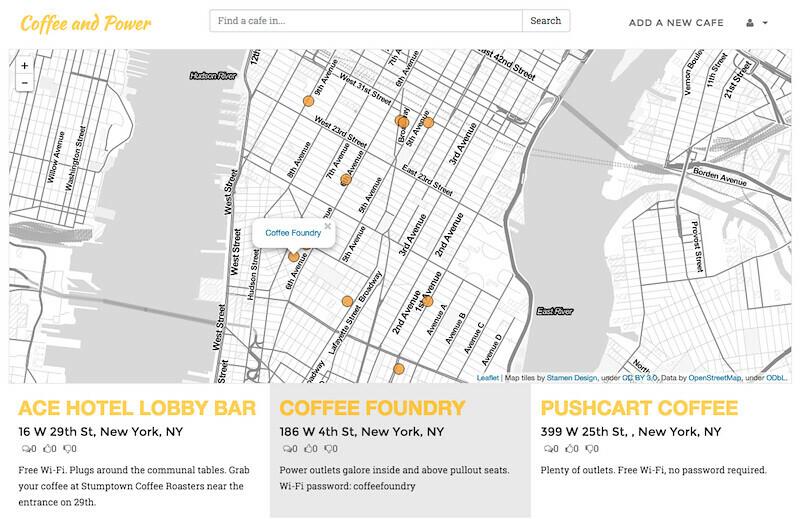 This way, the map can re-request cafes when the user pans or zooms, without requiring a full page refresh.